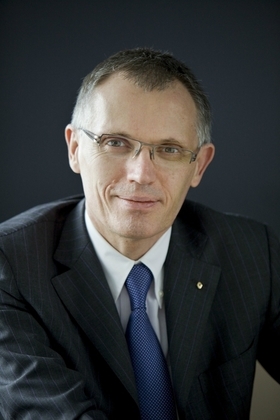 Renault expects 2011 to be another record year for its new-car sales despite uncertainty over the global economy, according to the automaker's Chief Operating Officer Carlos Tavares. "We will break last year's record. Last year we sold just over 2.6 million cars. This year we will sell a few percent more, '' Tavares told Automotive News Europe in an interview. The increase will give Renault a larger market share in Europe, but the automaker will not strive to oust Volkswagen Group, Europe's largest carmaker, from the No. 1 spot. Tavares said he thought it ''reasonable'' for Renault to become Europe's No. 2 automaker by car sales while maintaining profitability. In the first nine months Volkswagen Group had a 23.2 percent share of the European car market, according to industry association ACEA. No.2 was PSA/Peugeot-Citroen with 12.6 percent. Renault was No. 3 with 9.4 percent, followed by General Motors' Opel/Vauxhall and Chevrolet Europe divisions at No. 4 with 8.7 percent. Renault will not chase VW for No. 1 spot, Tavares says. 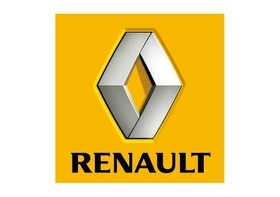 Renault's mid-term strategic plan calls for the company to boost its global annual unit sales to 3 million in 2013 from 2.6 million in 2010 and increase its cash flow by 2 billion euros in the next three years. If Renault can reach both targets "we can set more ambitious goals after 2016,'' Tavares said. Tavares' No. 1 task is to lower Renault's dependence on the weak western European market and boost its presence in emerging markets such as in Morocco and Brazil. After 2016, Tavares does not exclude a return to the North American market for Renault. "I do not think that the company should limit its own ambitions," he said.